Yes, we can supply 7 different kinds of liquid gas carriers- 2 for LPG and 5 for LNG. The variety is an excellent reason to bring your requirements for a liquid gas carrier to Hitachi Zosen. But it isn't the only reason. Consider experience. 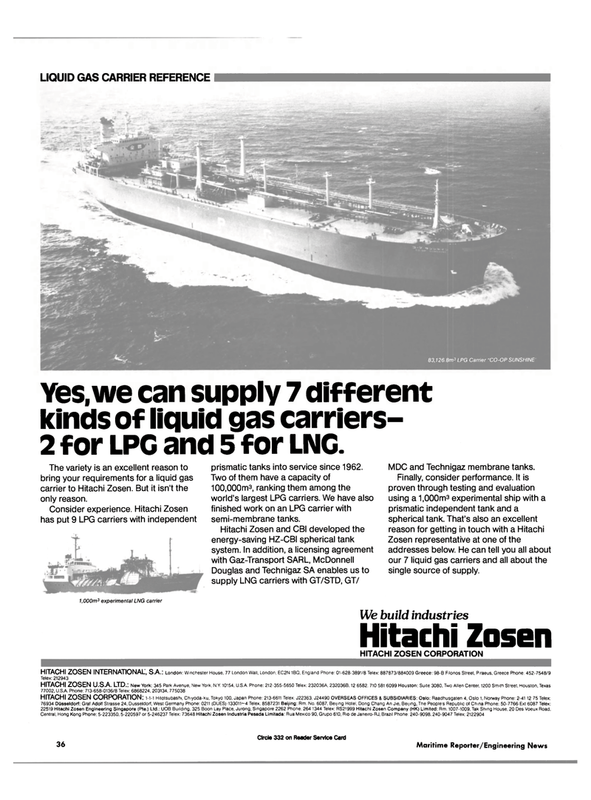 Hitachi Zosen has put 9 LPG carriers with independent prismatic tanks into service since 1962. Two of them have a capacity of 100,000m3, ranking them among the world's largest LPG carriers. We have also finished work on an LPG carrier with semi-membrane tanks. MDC and Technigaz membrane tanks.